Mozilla announced today that it has started a preview of the Firefox for iOS app in New Zealand. After collecting feedback from iOS users in that country, it will offer the preview in a few more countries before it rolls out globally. The global launch will take place before the end of the year. According to Mozilla, the preview includes a feature called "Intelligent Search" which will give users some suggestions for their search results, and will also give them the option of choosing a search provider. Firefox for iOS will allow you to bring your passwords, tabs and browser history from the desktop to your iPhone, by using Firefox Accounts. Another feature called Visual Tabs shows you what Mozilla calls "an intuitive way to keep track of your open tabs." Mozilla is extremely serious about using your feedback to build a better browser. There even is a process that allows you to send feedback to Mozilla from inside the app itself. It wasn't until last December that Mozilla finally decided to build an iOS browser. 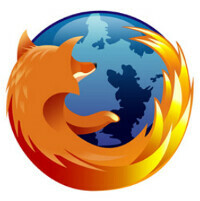 Firefox's release manager Lukas Blakk said then that the company decided to go where its desktop users are. For Mozilla, that means building a browser for iOS, even if Firefox can not use its own rendering engine. Previously, Mozilla backed off producing a browser for the platform, saying that it would wait until Apple loosened its restrictions on third party browsers offered in the App Store. Instead, it was Mozilla that gave in, a decision that Firefox fans using iOS are surely happy with. Better don't, it did horrible job on the Android, it constantly crash. I hate this browser. Very slow compared to even a non known developer browser.